Welcome to Day #6 of Chocolate and Bolivia Theme Week. 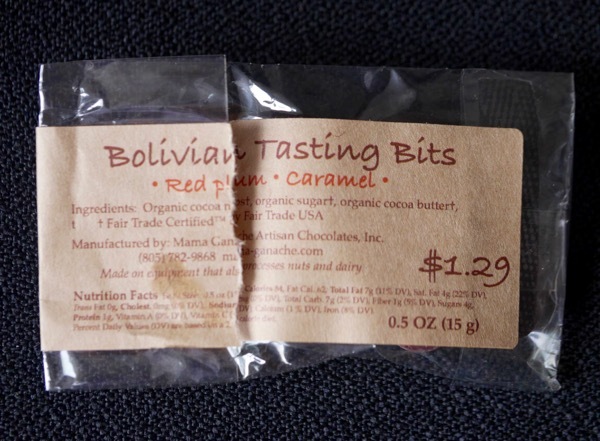 Today's single origin chocolate made with Bolivian cacao was part of a single origin tasting kit, that contained chocolate "tasting bits" from five different origins, from Mama Ganache Chocolates (San Luis Obispo, CA). 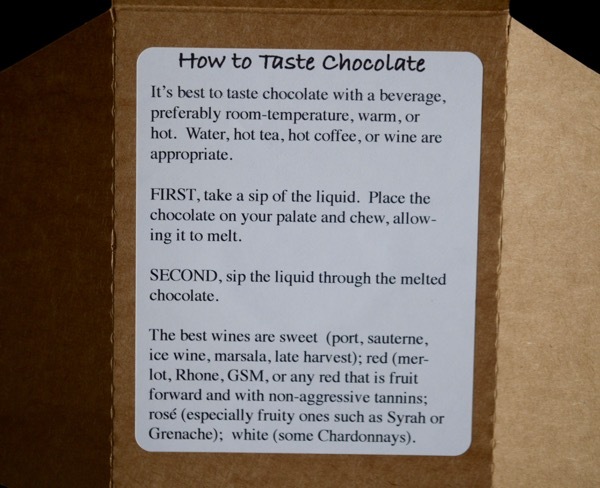 Inside the tasting kit box were instructions for how to taste chocolates, with a beverage: water, hot tea, hot coffee or wine (including which wines might work best with chocolates). 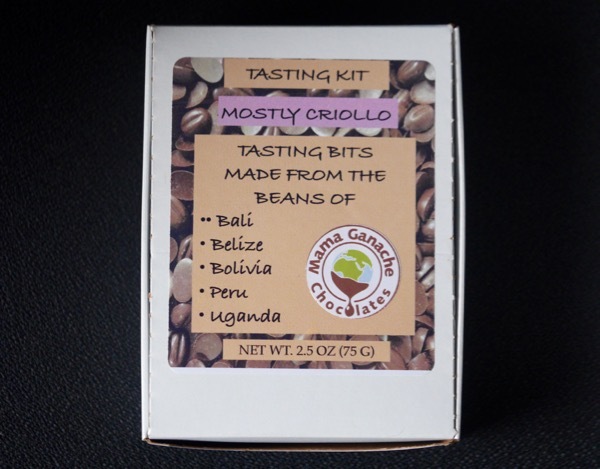 The bean-shaped, Bolivian chocolate tasting bits (pieces) were made from Bolivian cocoa nibs, organic sugar and organic cocoa butter. Each piece was tasted slowly and carefully with room temperature water, first thing in the morning. 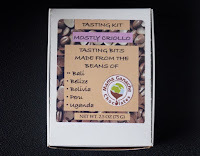 *The Mama Ganache Tasting Kit contained tasting pieces from: Bali, Belize, Bolivia, Peru and Uganda.